In response to requests from pastellists around the world, Art Spectrum has released its much-anticipated range of Colourfix Soft Pastels. 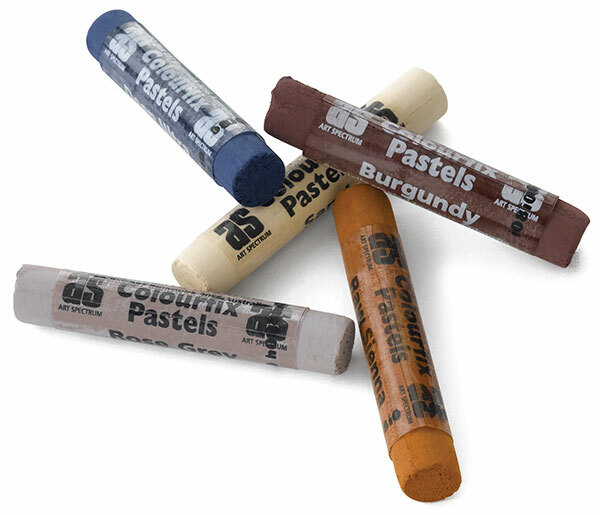 Colourfix Soft Pastels are available individually in full-size sticks or as a set of 20 half-sticks…one of each color to get you started! Full-size sticks measure 12 mm × 70 mm. Set of 20 Half-Sticks — This set contains one each of every color in the range, including Aubergine, Australian Gray, Blue Haze, Burgundy, Burnt Umber, Deep Black, Deep Ultra, Elephant, Fresh Gray, Leaf Green Dark, Natural (Clear), Olive Green, Raw Sienna, Rich Beige, Rose Gray, Sand, Soft Umber, Storm Blue, Terra Cotta, and White.